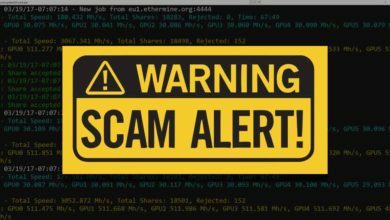 In recent times we have been noticing a lot of mining software’s; especially for NVIDIA graphic cards. 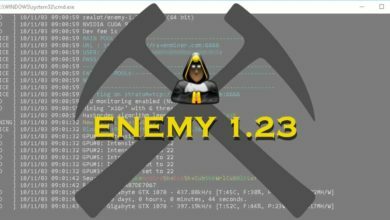 Some of the miner which we mentioned in the past are Enemy, CryptoDredge, CoolMiner, Delos Miner and there are few others yet to covered. All these are closed source miners which contains a small dev fee and they are not based on ccminer or any other existing source code. 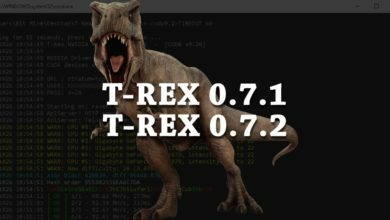 Now there is another new competitor in this category called T-Rex which we recently discovered after they released a new version (T-Rex 0.5.7) with support for x16r algorithm. Now after testing PHI2, Lyra2Z and X16R using T-Rex it’s obvious that it performs better than CCMiner. 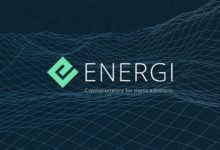 But how it compares to other popular alternatives like Enemy, CryptoDredge and CoolMiner? T-Rex is a new mining software that is designed for modern NVIDIA GPUs. 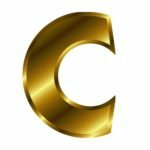 It is a closed source miner which contains a build in dev fee of 1% and is no longer based on ccminer. 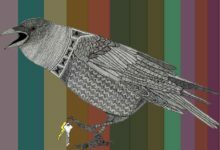 T-Rex miner works with all Maxwell and Pascal architecture graphic cards and the binaries are available for both Windows as well as Linux operating systems. 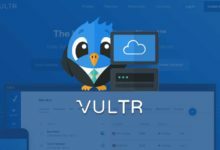 Lately this miner has been getting a lot of attention as the developers are constantly working on improving the software. Also this miner has been added to mining platform like Awesome Miner but not sure if it has been added to Hive OS. Okay, let’s now see the algorithms that it supports and the type of performance it delivers. 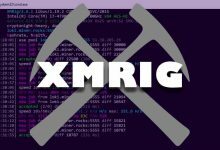 Currently the latest released version of this miner v0.5.7 supports up to 10 algorithms and the devs state that more new algorithms, features and performance improvements are planned in the upcoming releases. 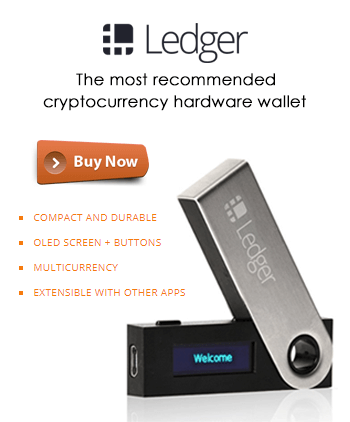 Note: Latest release of this miner supports new algorithms. Also it has got performance improvements and additional features. All the updates are shared below so kindly do check them and use the latest version. Using T-Rex we’ve not benchmarked all these algorithms. However we tried mining Lyra2z, PHI2, X16R and this is what we noticed. T-Rex really performs better on Lyra2z and it gives the highest hashrate compared to other alternatives. With GTX 1070 you could expect up to 2400 kh/s and with GTX 1080TI we got up to 4300 kh/s. However the downside is the power consumption is lot higher than the other miners. Now coming to PHI2; the hashrate seems fine but the miner kept crashing constantly and even at stock settings the miner was unstable. 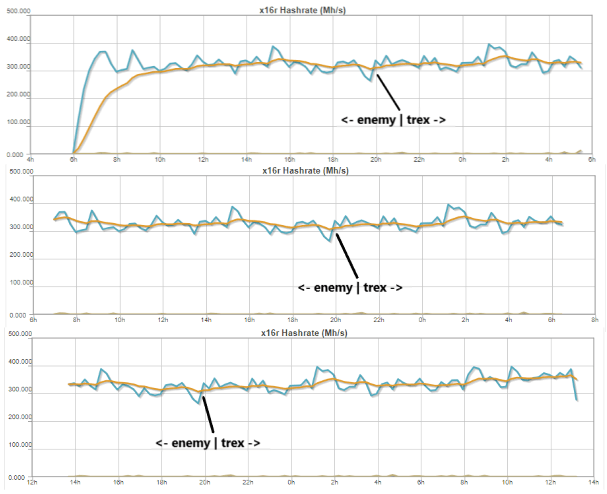 After this we tried X16R which performed very close to enemy but then the power draw is slightly more. Okay, what about other algorithms? As you may know mining Tribus using GPU is no longer feasible as it is largely dominated by FPGAs. Renesis is an ASIC resistant algorithm which came out more recently and we are yet to try that. The performance of all other algorithms such as hsr, x17 and c11 are being reported by users at the official page on Bitcoin forum. Do check them out. Now before you use this miner make sure you have the latest NVIDIA drivers to get optimal mining performance. Do note that all the algorithms which this miner supports are core intensive so lower memory and raise core clock if you’d like to see improvement in hashrates. Also be sure to monitor the GPU temperatures. 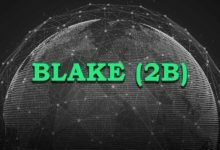 In case if you are in need of any support you can head over to official Bitcointalk thread and in addition to that they also have a Discord channel. 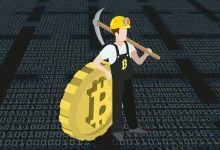 If you are using Enemy, CryptoDredge or any other closed source miners then T-Rex is also a good alternative which you can try. 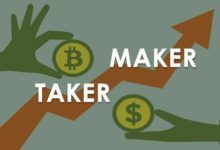 However the miner is still in its early stage and there are some issues. Hopefully it will get better and better in the upcoming releases. Release date: August 19, 2018. New Algorithm: Bitcore and Sonoa. Support for PHI2 has been dropped. Except Lyra2z this version has slight performance improvements on all of its supported algorithms. 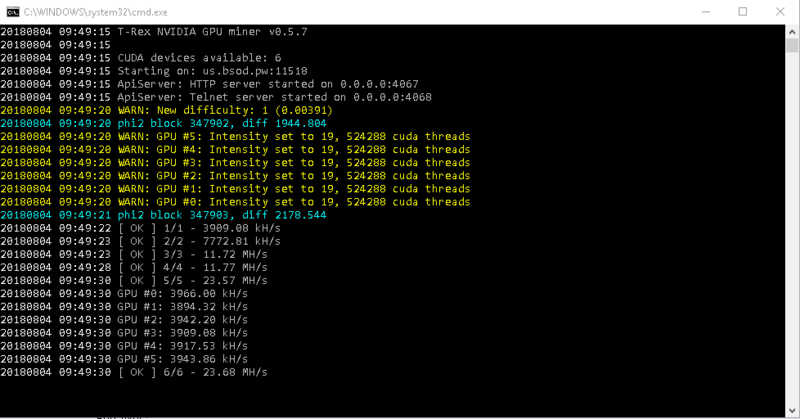 Miner now displays pool latency, GPU full name, GPU temperature, power consumption and fan details. Support for compute capability 5.0 cards added: Eg: GTX 750 and GTX 750TI. Added extra shares submit functionality which results in increased poolside hashrate. 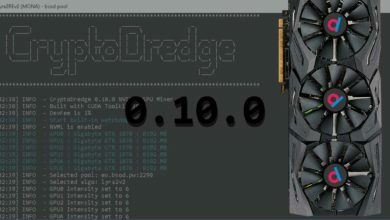 CUDA 9.1 / 9.2. https://mega.nz/#!jYk3mKBK!sXMGhmeQjh7ZZnLytRfrEMFA7LhQskS8YRnO758rI9o. Release date: August 26, 2018. New Algorithm: Balloon (memory-hard hashing function). CUDA 9.1 / 9.2. https://mega.nz/#!TE0BgTxL!qQ5Mo4lLbyOe6jqm5GTL4GwJum_fgeQdRJBfaidpgQM. New Algorithm: Skunk and Polytimos. Slight performance improvements on bitcore, sonoa, c11, x16r, X16s and x17. About 5% performance. improvements on Renesis and PHI. CUDA 9.1 / 9.2. https://mega.nz/#!acVxCC7b!p0oGNW_9WP-SJjpkpTQnhRCp7cUicmV8vaIp1aHVYoo. 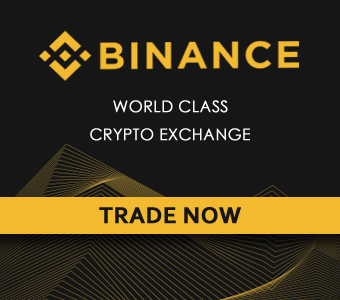 Release date: September 13, 2018.
renesis – 5% to 7%. New Algorithm: BCD (Coin: Bitcoin Diamond). c11, x17 and Sonoa – 1% to 3%. Kindly do report if any of the download links are broken. T-Rex 0.6.5 download link, no longer available.